I cannot find this 9th day entry in Mr. Tanaka's scanned pages of Inspector Lee's diary. Does anyone know which page it starts? Mr. Tanaka had written the instructions for read that is "※4月30日～5月9日の原本は別途掲示予定". And also, I have mentioned that point. I did not see that writing on Mr. Tanaka's site, and I did not see where you mentioned it. Did you mention it in English? Because, as you know, I do not read Japanese. Anyway, if I am reading it right, Mr. Tanaka plans to post that part of the diary later? If he already had access to the diary, I wonder why he would post it separately? I am amazed at how Mr. Tanaka gets access to all these old documents, and how his photos of them are so professional. 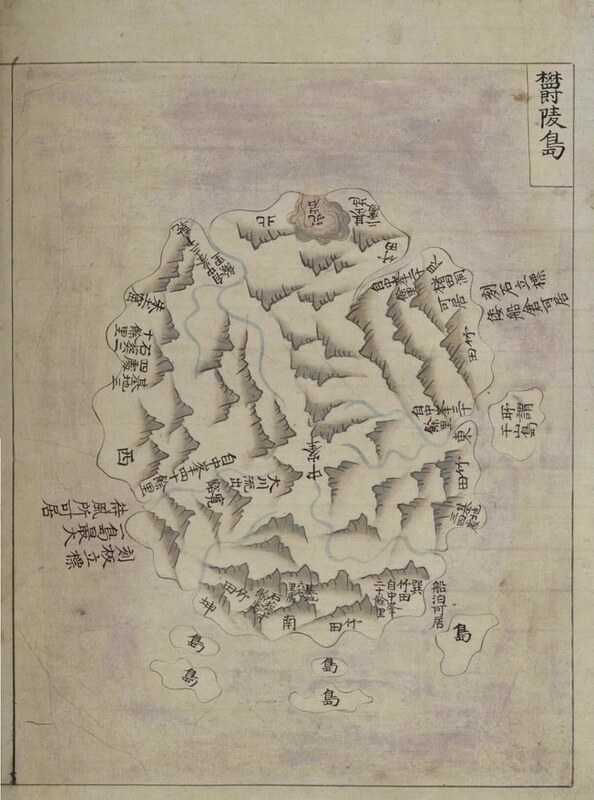 For example, I do not know how he did it, but his photo of the map at the Samcheok Museum was amazingly clear, especially considering that the map was probably three or four feet away in a glass display. Anyway, thanks for pointing that out to me. In his diary Inspector Lee describes an unnamed rock next to Choktae Rock (燭台岩也) by saying it "floats upright" (一石浮立) and adds, "It looks like a Bodhisattva (形如弥勒佛)." A floating rock? Bodhisattva? What could Inspector Lee have been talking about? On his Web site, Mr. Tanaka posted a photo of THIS ROCK and labeled it "大巌(竹岩)," but if you look at the base of the rock, where it meets the water, it appears to be floating because the sea water over time has eroded the base, creating a kind of mushroom-head shape that makes it appear as it the rock is floating. But why describe it as looking like a Bodhisattva? Because I think Inspector Lee was imagining a painting of a Bodhisattva levitating, which means floating in the air just above the ground. Unless other rocks off that shore are also floating, the photo Mr. Tanaka labeled as "Big Rock" might be the unnamed floating rock next to Choktae Rock (燭台岩). 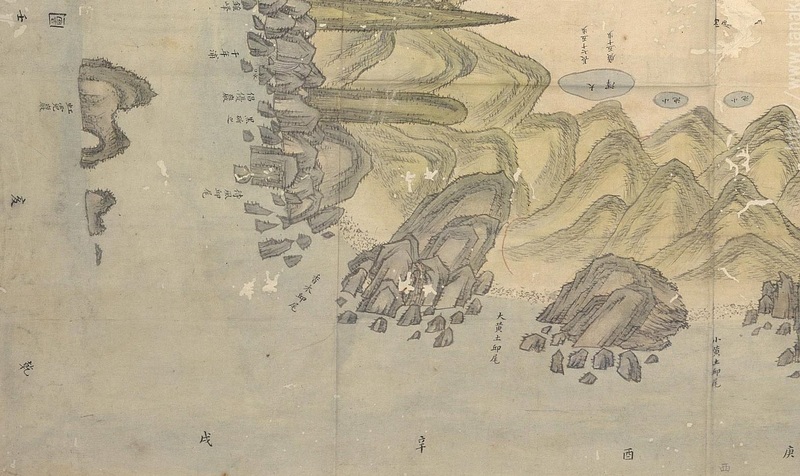 However, I would say there are other floating rocks, and that Mr. Tanaka probably labeled his rock correctly, but I thought it would be a good example to show a possible reason for the description of a floating rock that looks like a Bodhisattva. 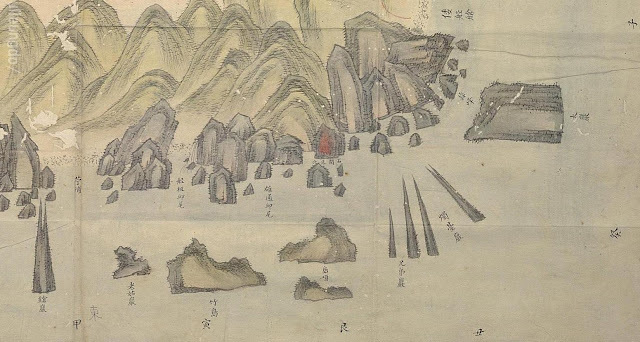 If we could find the "floating rock," then we might be able to determine where "Seokganju Cave" (名石間朱穴) was because Inspector Lee said the cave was on the shore near the floating rock. After taking a closer look at Mr. Tanaka's "Big Rock," it does not seem to be eroded at the base as much as I first thought. The red-brown color near the base just made it appear to me as if it were floating. However, maybe when the tide goes out, it will turn into a floating rock? Actually, I suspect there is a better example of a floating rock nearby. 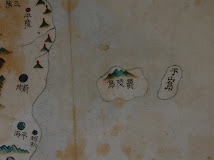 If the two islands were in the sea on the south side (南便洋中有二小島) of "Seokganju Cave" (名石間朱穴) and “Ship Plank Cove” (船板邱尾), that would mean the cave and the cove would be on the north side of Gwaneumdo (觀音島). 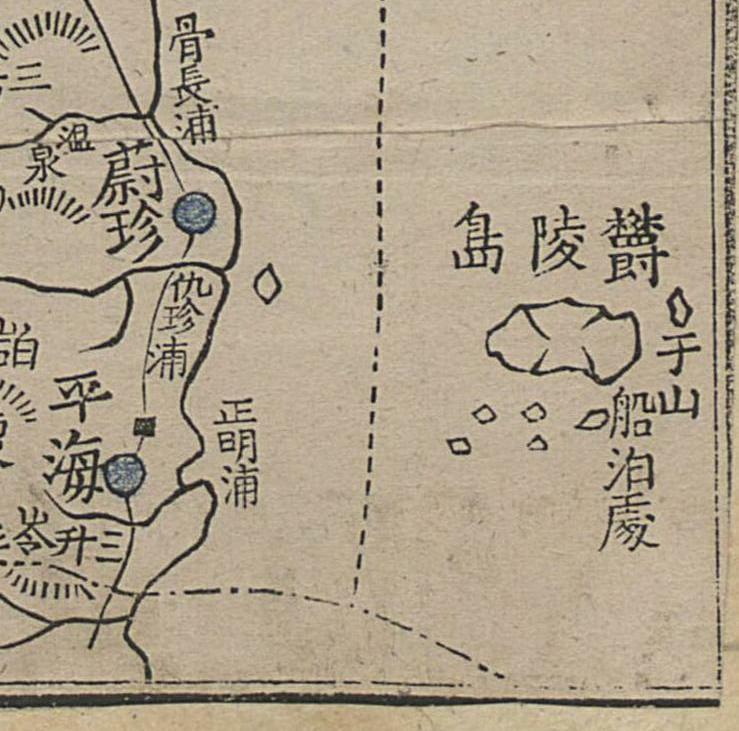 If the map were correct and “Wadal Ungtong Cove” (臥達雄通邱尾) was on shore between the cave and the cove, then it would also be north of Gwaneumdo, but, again, I do not think Wadal Ungtong Cove in 1882 was on shore. Why? 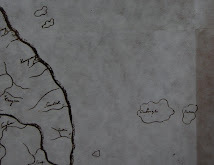 First, there was no beach drawn for it on the map like almost all the other harbors. 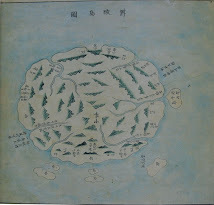 Second, it was described as being "a harbor inside" one of the islands (其内浦). 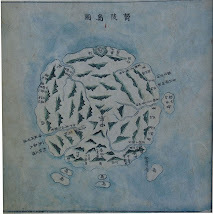 Third, it was described as a harbor where "ships entered with difficulty" (船路難進). 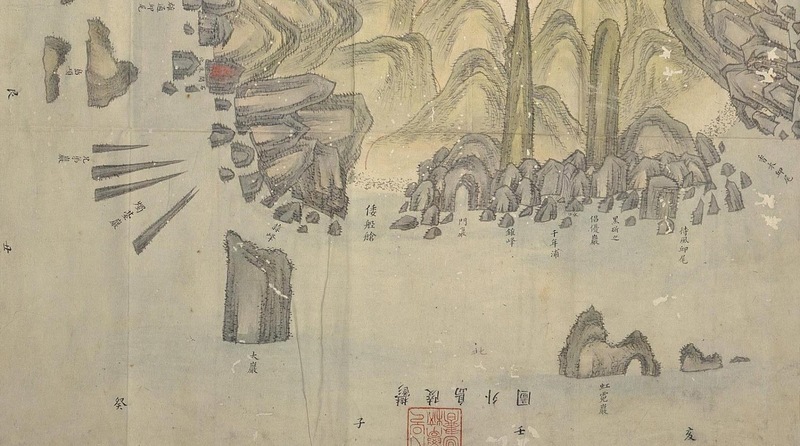 Forth, it was described as having "stone walls on the left and right" (左右石壁), not in front. I have found this 9th day entry in the reverse side of the scanned page of Mr. Tanaka's image number 11. Inspector Lee's diary is a Bound-pocket book made by significantly thinner papers. Generally speaking, bound-pocket books are also made by stacking sheets of double-wide paper that have been folded individually, but unlike glued or sewn books, the stacked pages are bound by sewing the loose edge opposite the crease together with either thread or tightly wrapped, thread-like strips paper. So, we can not read turn over sides. No matter how clever Korean researchers may be, they will not notice this secret. Mr. Tanaka is not responsible for it. We should scold Samcheok Museum staff and Korean researchers for neglect of duty. I give you some virtual images. The virtual inside out image of the Left page of image 11. The virtual inside out image of the Right page of image 13. The virtual inside out image of the Left page of image 12. Please compare original with my scratching. I do not see any evidence that the pages are folded. Besides, it does not make sense that Inspector Lee would fold pages of his diary so that they could not be read. Mr. Tanaka posted the text from the 9th day and promised to post photos of the pages later, so he apparently already has the photos of the pages or knows where he can get them. Also, I do not understand your logic for faulting the Korean researchers. You don't think they knew about the 9th Day text? Someone obviously knew about it because it has been posted. I was not blaming Mr. Tanaka. I was simply wondering why he did not post the photos of the 9th Day text with the photos of the rest of the text. Kojima-san has found something is written on the back of the paper we can see now. And he could read the letters which 李瑄根, the Korean scholar who introduced this document in 1963, has reprinted in his contribution. So Kojima-san concluded the letters we can see now is the deferent part of the document. Tanaka-san’s reprint maybe came from李瑄根’s contribution. 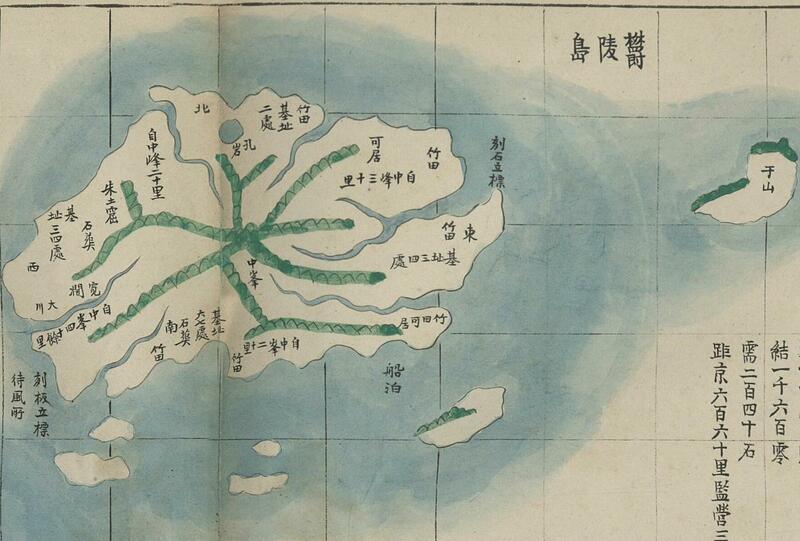 We can see now “the original journal of 李奎遠” introduced by Tanaka –san’s photocopy here. Someone had changed the way of binding. The papers have letters both on top and tail. Have either you or Mr. Kojima found any discrepancies or differences between the translated text and the text you see on the back side of the pages? If the two texts are different, then that might prove some kind of deception, but if they are the same, then I will still be wondering why the missing pages have not been posted. In other words, why hide pages of the original document if the text has already been made public? Why would Mr. Tanaka promise to post photos of the missing pages if he did not already have them or think he could get them? Isn't it possible that Mr. Tanaka is simply waiting to post the pages for some other reason, possibly because he wants more time to confirm the transcription or to analyze the pages? 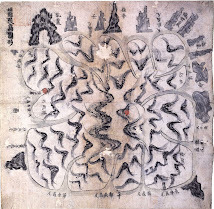 What do you mean by "the revised version of 鬱陵島検察日記"? Are there two different versions? As for the 啓草本, isn't that just a draft of a cleaned-up, official report of his inspection, written by 李奎遠 himself in the comfort of a building back on the mainland rather than in a tent in the wild of Ulleungdo? By the way, I have revised my translation by changing "ship" to "boat," so as not to confuse it with the ship on which they traveled to the island. 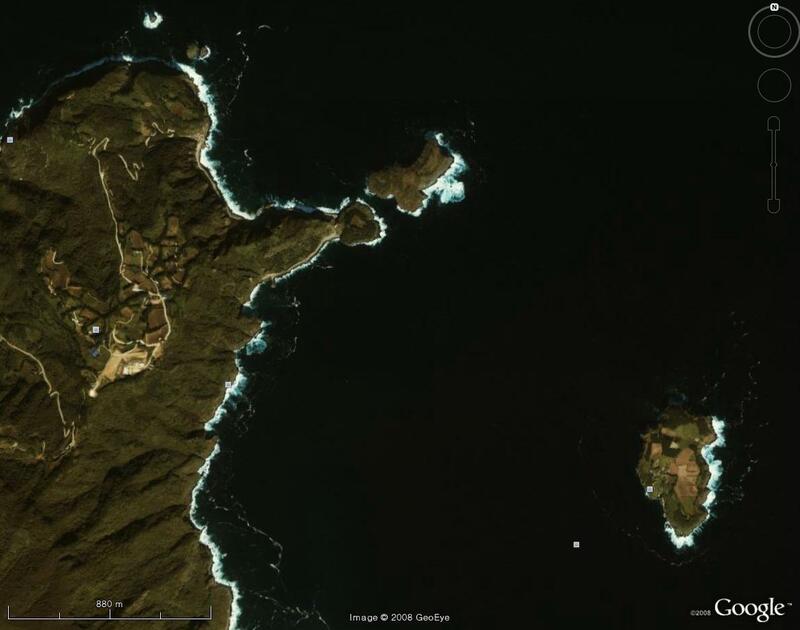 They were traveling around Ulleungdo in a small boat, not the larger ship. 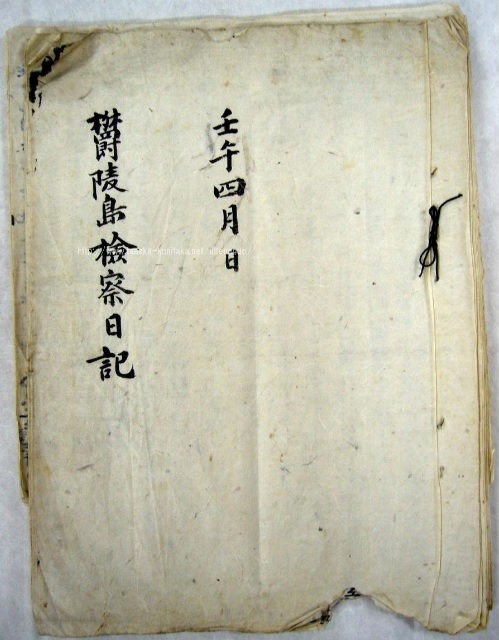 This document includes Lee Gyu-Won’s diary of his inspection, and the draft for the report to the king Ko-jong. It seems it was handwritten by one person. Kojima san found there were letters on the hidden side of paper, which he thinks the revised version of his diary. 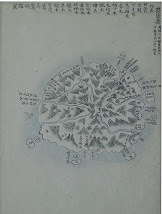 It was reprinted by 李瑄根, who introduced this document in 1963. For some reason, someone fold the paper and filed as it is now. That made the side reprinted by李瑄根 became hidden side of the paper. We, Kojima-san and I, are trying to read all the document, though it may take a long time. 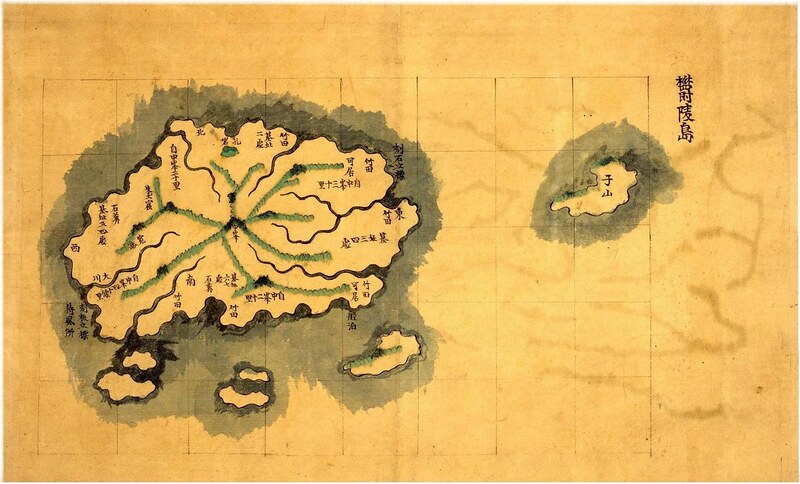 To my opinion, the important part of this document is the part they met Japanese in the island. As for the ‘boat’, yes, they were traveling in a small boat around the island, I agree. How could Lee Seon-geun (李瑄根) have "revised" Lee Gyu-won's (李奎遠) diary? He would have had to erase what Gyu-won had written and then put in his own words in a different handwriting. What makes you think the pages are folded? Can't the writing show through without the pages being folded? For example, the very first page of the diary shows through to the second page, and we can see photos of both pages. Doesn't that prove the pages are not folded? Doesn't it make more sense that the photos of the diary pages of Inspector Lee's daily inspection entries have just not been made public, for whatever reason? Mr. Tanaka may already have the photos and has just not posted them, or he may have been given only photos of the pages that did not include those of the inspection. I would guess that Mr. Tanaka already has the photos of the inspection pages, but has just chosen not to post them for some reason. Why do you consider the description of the sign to be important? 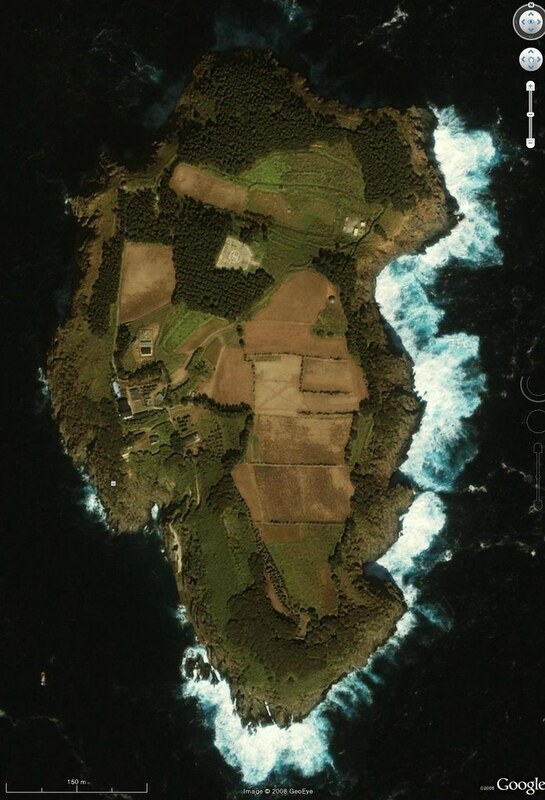 Aren't the descriptions of the two neighboring islands more important? 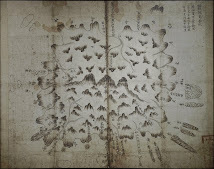 I would like to understand why Inspector Lee drew the neighboring islands as he did on his map. 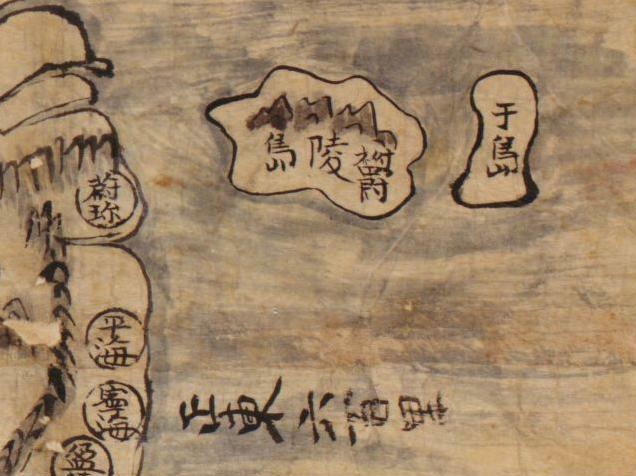 I would like to understand why 將軍巖 (General Rock) was drawn in the shape it was drawn. 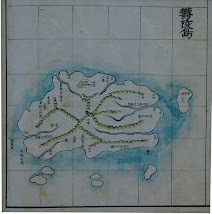 I would like to know the exact location of the “Wadal Ungtong Cove” (臥達雄通邱尾). Those things interest me more than the sign. There are many mistakes in Mr.Tanaka's text from Lee Seon-geun's one. And you don't understand what we say. 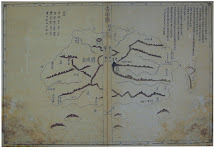 Look this image of the bound-pocket book. Do you see the point of this bound-pocket book's trap? The inside out image of the Left page of image 11. My decipherment of messy handwriting. The inside out image of the Right page of image 13. Please compare original with my deciphering scratch. I understand the part about a bound book of folded pages, but how would that produce the mirror images you posted? It seems they made a mistake when editing the photos, saving them as mirror images of themselves. If you look HERE, you can see that it is easy to reverse the process. Okay. I seen what you did. You reversed the images on purpose to copy the characters that bled through the page. But that doesn't prove the pages were folded. That only proves that there was writing on the back sides of the pages. When characters bleed through a page, they show up as mirror images of themselves. Pick up one, unfolded, typed page, turn it over to the backside, and hold it up to a light. You will notice that the type on the opposite side is also reversed. 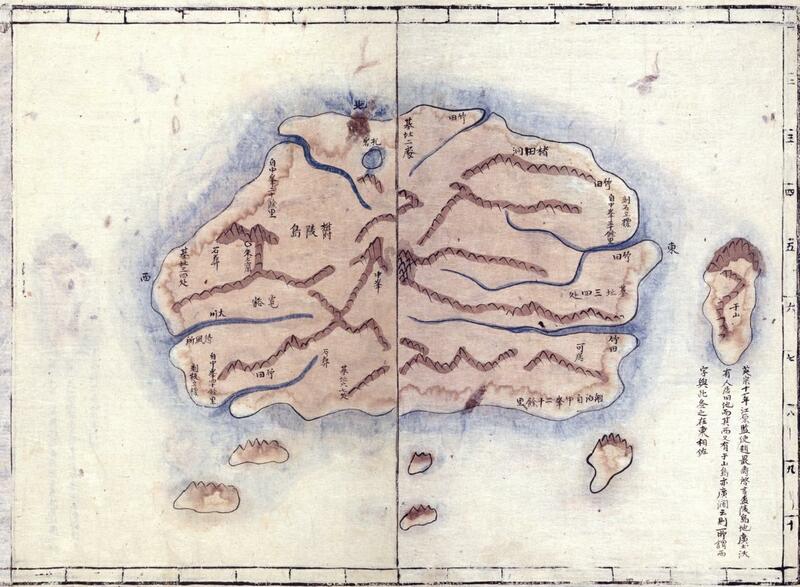 I am not saying the descriptions of the two neighboring islands are not important. It is the key to understand what 石島means in 勅令４１号. But first of all, we have to read what is written in the document. 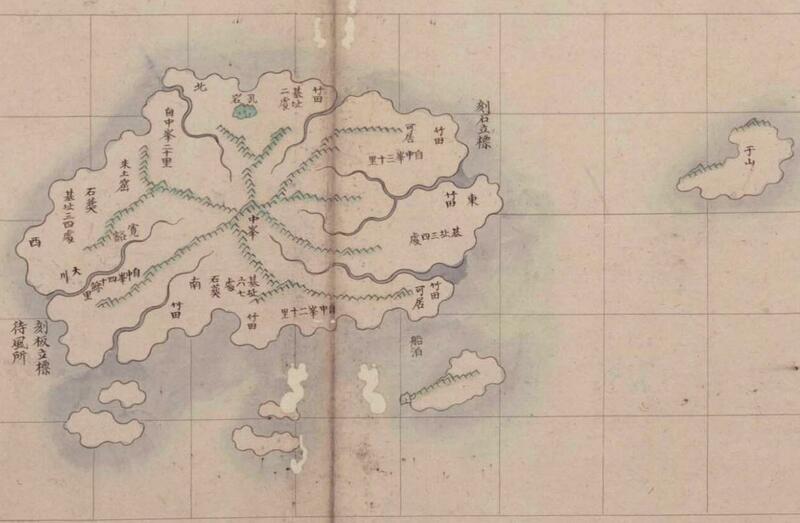 For the meeting of Japanese, I want to know how Japanese at that time recognized Ulleungdo, and who came to the island, and what was the background which made Japanese come to the island. I have counted up the number of pages. Is this book composed of only 33 or 34 pages ? No, it includes invisible 27 pages more. Don't you still understand even after our explanation? The documents written on the reverse sides of others. 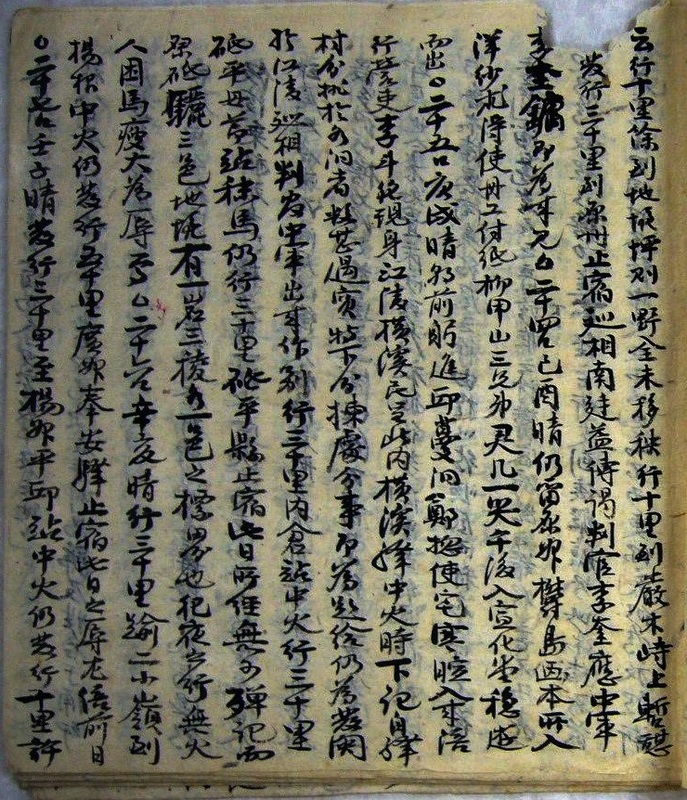 These are called 裏書 or 紙背文書. For example, the following photos are these kinds of handwritten documents. I cannot count the pages of the diary because I have never seen the diary. How do you know the number of pages in the diary? Did you count the pages yourself or did you just read it somewhere? If there really are 27 invisible pages, how were they counted, given that they are "invisible"? 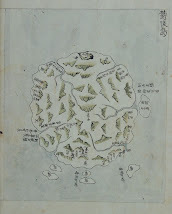 The reason I am having trouble understanding what you and Matsu are trying to say is that you seen to claim the pages were folded to hide the pages concerning the inspection of Ulleungdo, but the only way that would be the case is if the entries were written on the back side of a written page, which was then folded. However, the photos to which you link show only folded pages with nothing written on their backsides. Is it your claim that the diary entries were written on both sides of a page, which was then folded to hide the entries on one side? If that is your claim, then what proof do you have? The fact that the writing shows through a page? Wouldn't the writing show through a folded page even if nothing was written on the back side of the page? Just because a certain number of the diary pages have been made public does not mean the diary was designed to hide the remaining pages. You have got hold of the wrong end of the stick. 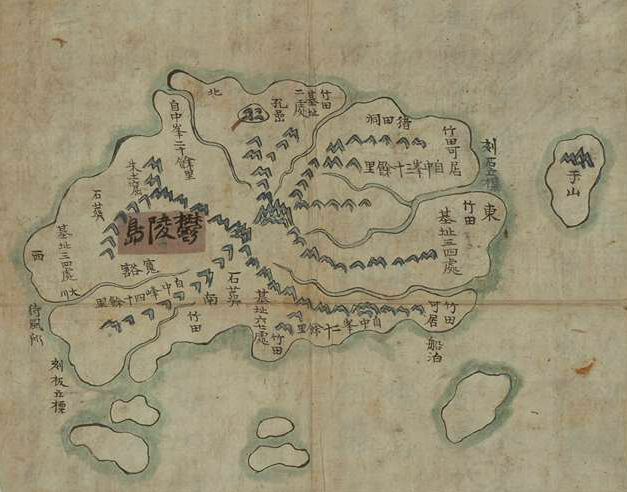 It (裏書) is relatively popular by tradition in East Asia. It is, so to speak, the palimpsest in Western culture. Of course, the two are totally different in principles. I and Matsu can see many evidences that 裏書 are included with 27 pages in total. 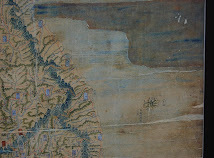 Precisely, 李瑄根's text is based on a kind of palimpsest. Therefore we must decipher the 裏書 document. You didn't do anything wrong, Gerry. I'm going to send you pdf files of the book by 李惠恩 soon. matsu told me if you read it, you'll understand what 小嶋-san means. 9th day entry in the reverse side of the scanned page of Mr. Tanaka's image number 11.